Each month we interview you, the martial artists of the world, about your love of the various martial arts disciplines! 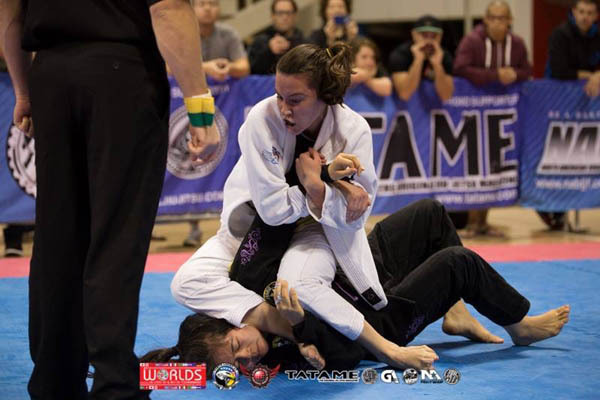 For our July 2015 ‘Martial Artist of the Month’, we interview Padilla and Sons Kimonos sponsored, American BJJ competitor, Kyanni Aguirre. My name is Kyanni Aguirre. I grew up in Los Angeles, California and have lived here all of my life. 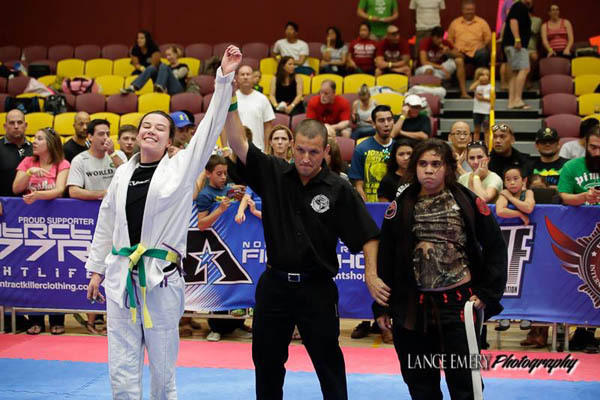 I am a 20 year old female blue belt in Brazilian Jiu Jitsu and started training in 2011. I train at M3 Fight and Fitness in Montrose, CA a GFTeam affiliate under Danny Vaughan. I just recently started doing Judo under Mike Verdugo. 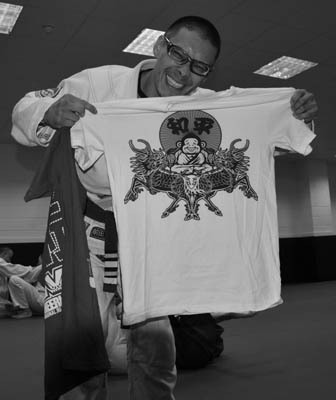 I am sponsored in BJJ by Padilla and Sons Kimonos. I compete regularly, sometimes even twice a month. I love BJJ and the mat is my happy place. I started when I was 16. My whole family had been training for a few years and I decided to just try a class and… BAM! I was hooked for life. I learned Muay Thai first. Then I tried my first BJJ class and, from that point on, I was forever a BJJ girl. Yes! 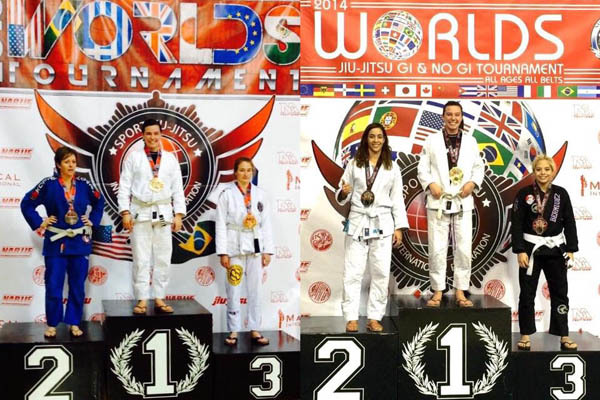 I have been actively competing for about two years now in BJJ. Which is your favorite weapon and why? My gi! I can choke people with it! I can submit people with it. I can also sweep people with it! It’s a great weapon. I am currently doing Brazilian Jiu Jitsu and Judo. Both at M3 Fight and Fitness. And the judo is under the Pasadena Judo Club. Which is your favorite technique? The arm bar has to be my absolute favorite technique. I love it! I try it from every dominant position. It’s almost no risk and very effective. My mom is definitely my #1 inspiration. 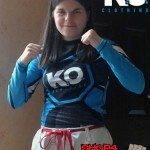 She is a purple belt and the head women’s instructor at M3 Fight and Fitness. Ronda Rousey inspires me! She is so awesome and totally paved the way for many female MMA fighters! Every woman who steps out on the mat has my respect and inspires me. Definitely winning the SJJIF Worlds two years in a row. Never stop training. You will get beat and smashed a million times. But every time you suffer through the pain, you find little ways to defend submissions and dominant positions. When you find yourself in the position again, all of the suffering will pay off, because you will know exactly how to survive. What’s your favorite martial arts film? Thank you very much, Kyanni, for your time! Get 25% Off with the BLITZ SPORT Summer Voucher Code! 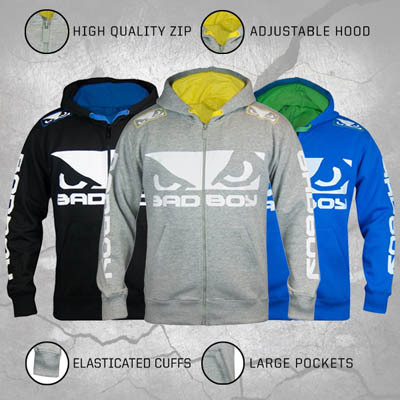 As part of the Black Friday sales, BJJ brand Tatami Fightwear are offering 20% off on their online store until midnight 1st December 2014. 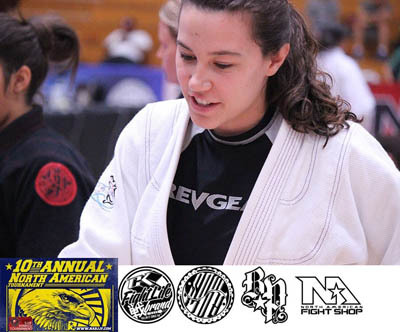 Save money on Tatami BJJ gis, rashguards, hoodies, t-shirts and more!